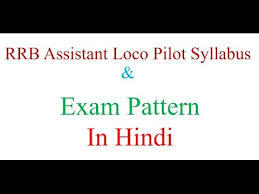 General Knowledge questions on Indian GK for Bank PO, IBPS, Bank Clerical And Indian GK For RRB Assistant Loco Pilot Group D 05-03-2018 questions for bank exams, very important computer-related questions for Bank PO, SBI PO, IBPS,RAS, IAS, UPSC, RPSC, 1st, 2nd, 3rd Grade Teacher, REET CTET, LDC, SSC CGL, IBPS, MBA, CAT, MAT, SBI-PO, RBI And Railway, Indian Army And all competitive Exams, and Most expected Computer Question Papers with answers. These Questions are most commonly asked in Other Banking Exam And All subject Wise Notes and Math, Hindi, English, History, Political Science, Psychology, Sanskrit Related Study material. Question (1) Who is the exponent of yoga philosophy? योग दर्शन के प्रतिपादक कौन हैं? Question (2). Who is the exponent of nihilism(0)? शून्यवाद के प्रतिपादक कौन हैं? Question (3). Eightfold Path is related to which religion?अष्टांगिक मार्ग किस धर्म से सम्बन्धित है? Question (4) Who established the philosophy of Pushtimarg? पुष्टि मार्ग के दर्शन की स्थापना किसने की? Question (5) Who was the founder of the Aagavik sect? आजीवक सम्प्रदाय के संस्थापक कौन थ? Question (6) Who Was the author of justice philosophy? न्याय दर्शन का लेखक था? Question (7) Who is the theory of karma related? कर्म का सिद्धान्त सम्बन्धित है? Question (8) Adishankar who later became Shankaracharya was born? आदिशंकर जो बाद में शंकराचार्य बने, उनका जन्म हुआ था? Question (9) Who predicted that destiny only determines everything, man is unable? किसने प्रतिपादित किया की भाग्य ही सब कुछ निर्धारित करता है, मनुष्य असमर्थ होता है? Question (10) Which state is associated with Sarhul Festival? सरहुल पर्व का सम्बन्ध किस राज्य से है?